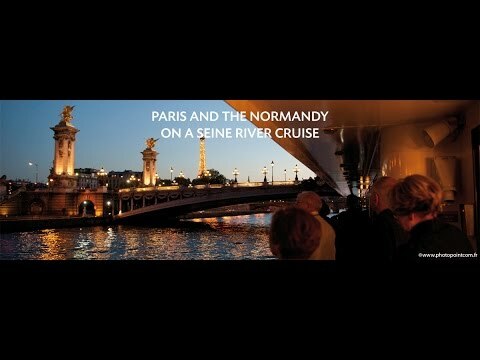 A fantastic, 5-day cruise along the Seine River and explore Paris and the beautiful region of Normandy. Enjoy a romantic cruise along the Seine River and visit the charming region of Normandy. You are welcome to board our ship at 6:00 p.m. After comfortably settling into your cabins, get to know the crew at a welcome cocktail before dinner. The evening is free to do as you please. You can take an optional excursion for both packages: guided tour of Honfleur. This afternoon, join us on an optional excursion for both packages: Discover the Côte Fleurie and taste some Calvados*, the famous apple brandy. Optional excursion for both packages: guided tour of Rouen. You will return on board in the evening. The ship will cruise through the night. The ship will then cruise through the impressive futuristic business district of La Defense. You will arrive in Paris in the evening. Tonight is the gala dinner and evening. Enjoy one last buffet breakfast on board before disembarking at 9:00 a.m. End of cruise. MS Renoir is a beautiful, 4-star cruise ship that sails on the beautiful Seine River from Paris to Normandy . MS Botticelli is a charming, 4-star cruise ship that sails on the beautiful Seine River. MS Seine Princess is a 4-star, luxury cruise ship that sails on the beautiful Seine River from Paris to Normandy . MS France is a deluxe, 4-star cruise ship that sails on the beautiful Seine River.